I must confess, I quite like to have a kebab from time to time. I know it is not healthy, junk food etc. Don’t judge me, man got to have his weaknesses. It is my guilty pleasure, almost a tradition to have one after a night out. However, my kebab days are pretty much over. Since I am now a responsible parent, going out for a night of drinking is rather impossible. Having a decent sleep seems much more appealing these days. It is not doom and gloom though. Recently I discovered that I can have my kebab fix sorted at the comfort of my own home. It is called pork shoulder souvlaki. The dish is inspired by Greek cuisine and whilst it is not exactly the same as take away kebab in the middle of the night. It is very close and it is million times healthier. Add the red onion relish and garlic or barbecue yoghurt dressing and you can keep all your kebabs. To be fair, this dish works best cooked on a barbecue. So at this time of year I cook it on a griddle pan or grill. It still tastes amazing and also takes very little time to prepare on a day. The dish easily feeds a family of 4 but it is particularly effective as a “low effort” sharing dish when you invite friends around. Most of the work is done the day before as both the meat and relish should marinate 24 hours for best results. 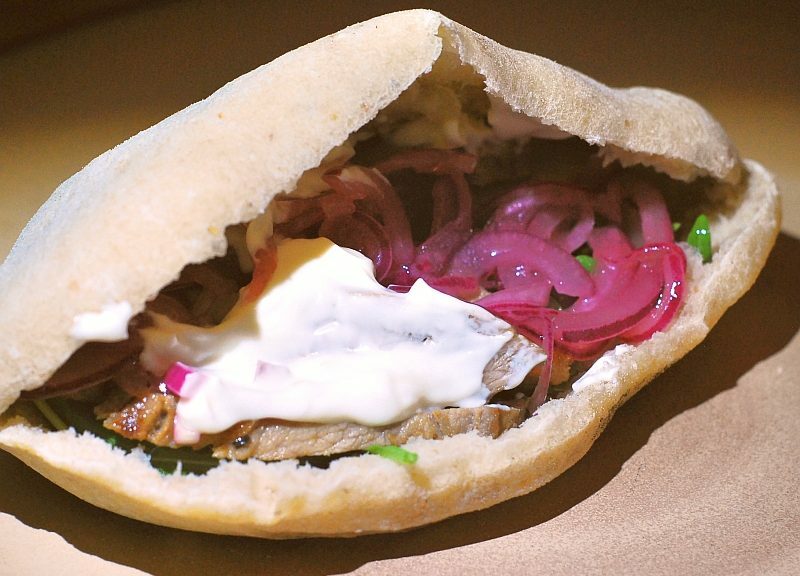 This dish should be served in a pita bread. In September I published a recipe for sourdough pita breads. They are ideal for this dish. You can always substitute them with supermarket bought pitas if you can’t be bothered to make your own. Combine all marinade ingredients in a non-metallic bowl with a lid or sealable bag. Add the pork shoulders and toss around to ensure the meat is thoroughly covered by the marinade. Cover the bowl or seal the bag and place in the fridge for at least 3 hours but preferably for 24 hours. Turn the meat from time to time to ensure it remains evenly covered by the marinade. Remember to take it out of the fridge 30 minutes before cooking to bring the meat to the room temperature. To make the relish put the honey, vinegar and olive oil in a non-metallic container with a lid. Stir until the honey has completely dissolved. Add the onions and stir well. Cover with the lid and place in the fridge for at least 3 hours but preferably for 24 hours. The onions will turn a beautiful pink colour. On the day of cooking fire up the barbecue or set the grill / pan to pre heat. Mix both garlic and barbecue ingredients in separate serving bowls. 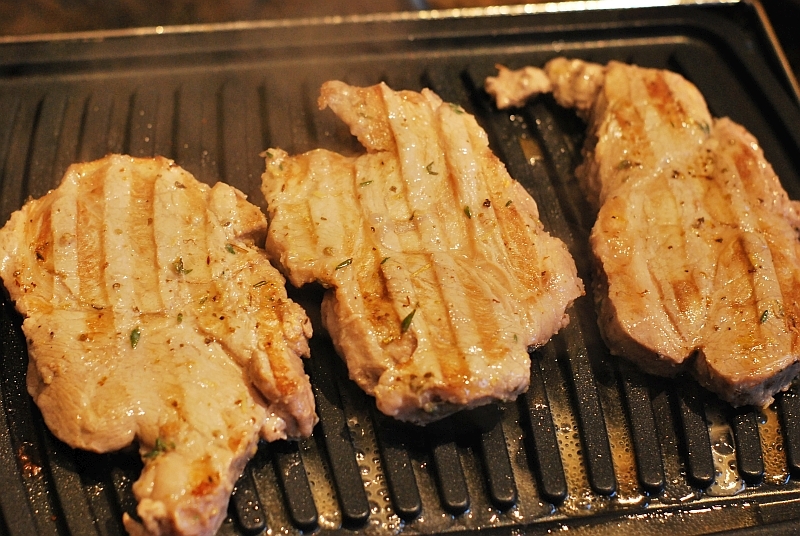 Brush the marinade off the pork, then brush it with some rapeseed oil and season with sea salt. When the barbecue / grill / pan is pre heated to very hot cook the meat for 2 minutes on each side. Then turn and cook for another 2 minutes on each side, until browned outside and cooked inside. Transfer the meat to a carving board and leave to rest for 5 minutes. 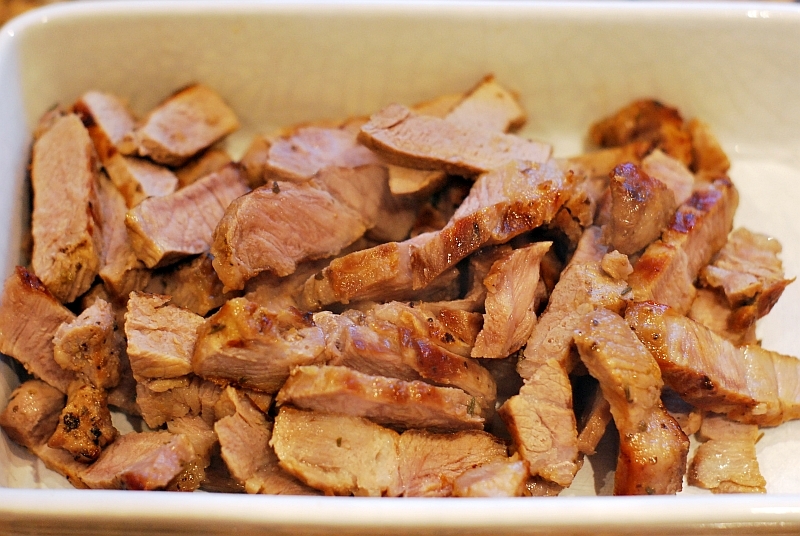 Cut the meat into thin medium to thin strips across the grain (cutting like this makes the meat more tender to eat) and transfer to a sharing dish. Best served in split open pita breads with rocket leaves, onion relish and dressing of your choice accompanied by a glass of pinot noir (or a cold bottle of cider if you are lucky enough to cook on a barbecue).